Last week, my second-born graduated from Kindie! He’s moving up to first grade… in August. Due to the difference in Korea’s academic year and the international school academic year, there’s a 6-month period that my son needs to wait before he can enter first grade. I will be home-schooling him for the time being. 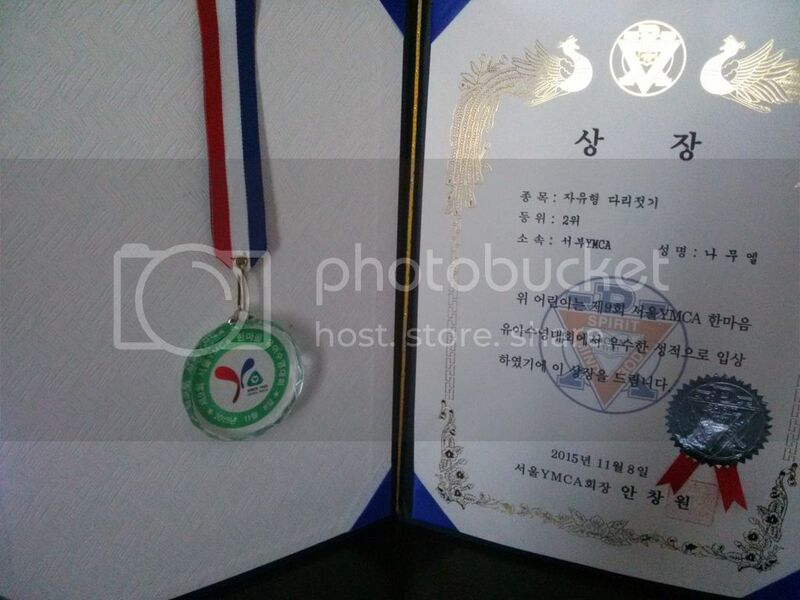 My son spent his last year in Kindergarten at the 서부 YMCA 아기스포츠단. 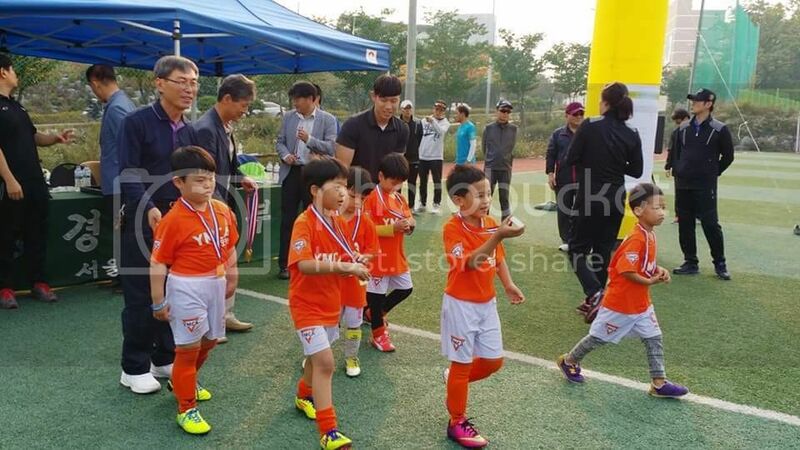 It’s a Kindergarten focused on sports and social development. Just the kind of environment I would gladly trust my child into. From the start, I made sure to my son’s teacher that he shouldn’t be pressured into the academics of Hangeul learning. I am so glad that she respected that. My son graduated last week from Kindergarten very fluent in Korean (daily exposure to classmates), he can read and write Hangeul (not as excellent as his classmates) and with so much joy knowing that he was loved. This is the kind of pre-school that I would highly-recommend to anyone who would ask, foreigner or local. There was a short opening ceremony at the start of the school year. A first for us. 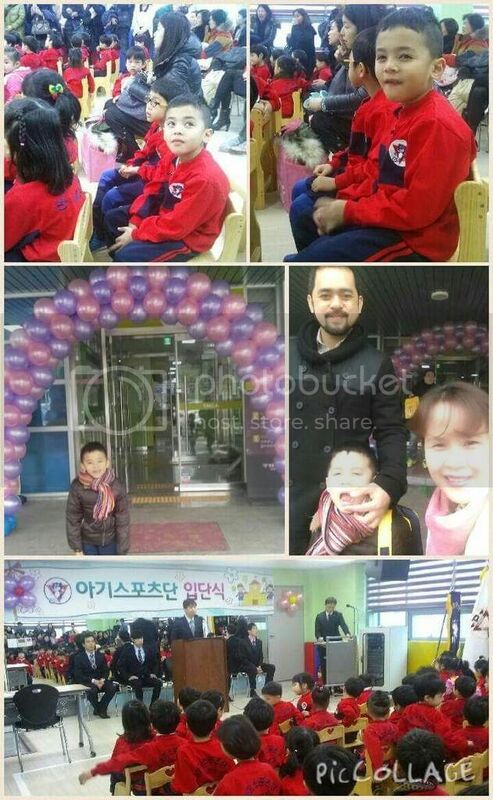 I didn’t experience an opening ceremony in a Korean pre-school and our 2 sons went to a total of 4 Korean pre-schools. It was so simple and brief. But the feeling was awesome! It isn’t everyday that you bring your son to the first day of his final year in kindergarten… and with an opening ceremony. If that was an indication of things to come, then it lived up to our expectations. The whole year was conducted with efficiency and the activities were planned out well. DeFourth wasn’t able to attend overnight events but it was only because of our own inhibitions as parents. We just feel that he was too young and might cry out in the middle of the night to go home. My kindie’s happiness was just overflowing. He loves soccer and this is one sport he shares with his older brother. Aside from swimming and soccer, inline skate classes were done 2x a month. There’s also jumping rope classes on top of their gym classes. I like the emphasis on physical and social development. A healthy body and a healthy spirit brings out a healthy mind. I couldn’t agree more. Regular field trips happen as a normal part of kindie life. I admire Korea’s security, in general. Here, teachers are not scared to bring kids outside their school for a breath of fresh air. There’s always time to go to nearby parks and other educational field trips. 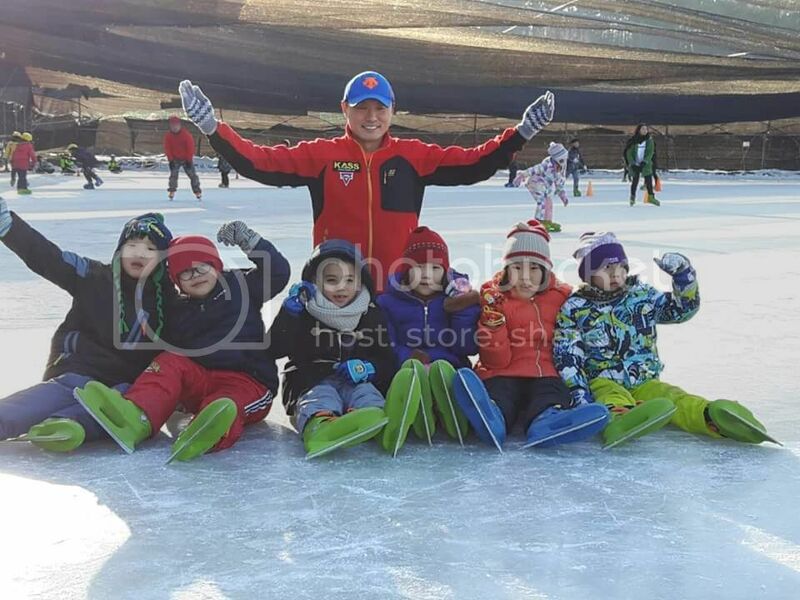 When Korea was blasting with news about the cold wave, they had their 5-day ice class skating class. Amazingly, my son never got sick. He was filled with stories each and everyday. My kindergarten graduate got a little sentimental a day before his graduation. While he was practicing the song the graduates will sing to their 동생, he cried… because he was sad. Such a sweetie to feel sentimental. Instead of a bouquet of flowers, he was holding a Star Wars lego set. But my! The bouquets were so nice. Trust these Koreans to make kid-pleasing bouquets. They have chocolates in lieu of flowers. Some have toys as their bouquet accent. Tempting to get one for my kiddo but I knew he was going to be happier when he gets anything Star Wars-related. It was a good year from a very caring school. Kudos to all its teachers and staff. If I am going to be asked, I would highly recommend YMCA. It has given my son a lot of experiences that he can carry on and positively influence his lifestyle. I am so glad we’ve found this school before he goes on to first grade. Thanks, Chelsea. Did your kindergarten kids wear fancy costumes? My son used to wear those fancy costume during graduation hahaha. Our homeschooling is very informal. I have books for him at home and we either do them at home or in coffee shops hahaha… Mostly, we go out and explore. Hi Izzy, thanks! Yep, I’m glad that the teacher respected that. Not that I don’t want my son to learn the academics of Hangeul writing. I just want him to enjoy the language and learn naturally by mingling with friends. Yes, they understand Tagalog although limited. We’re working on that:-). Your son looks like he’s having a great time at his international school. 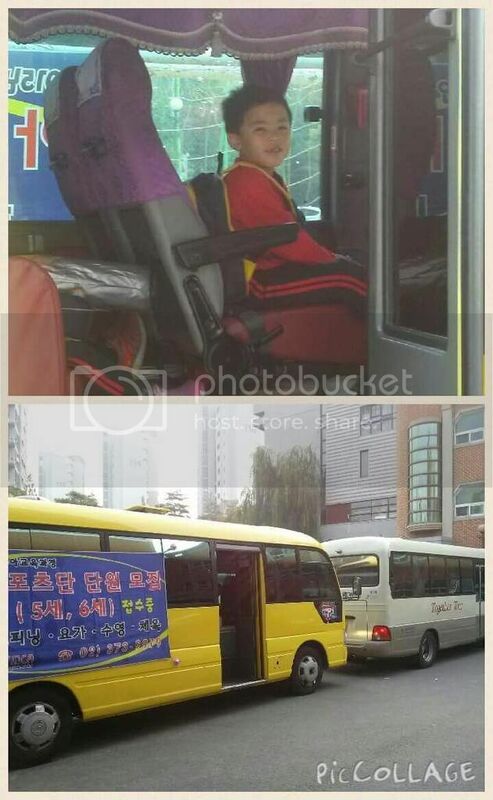 How does one get home schooled in Korea? Will you do it or find a tutor? Gina recently posted..Dating in Korea 101: Where to meet Korean fellas, how to get them to make the first move, and more! Hi Gina, YMCA is not an international school. It’s a private Korean kindergarten. He will be joining his brother at Dwight School Seoul (intl school) this August. I will only be doing informal homeschooling. I’ll do it but he will also be enrolled in special classes. Congratulations to your son! I can’t believe he has to wait until August to go to school! That’s nice that you’ll have that time to spend with your son! I hear time flies fast after kids go into school, so you’ll have some quality time with him before he grows up too fast! Hi Megan, it’s our personal choice to enroll him in August. If we enroll him now at Dwight School Seoul, he will be with the kindergarten because that’s technically his batch mate. 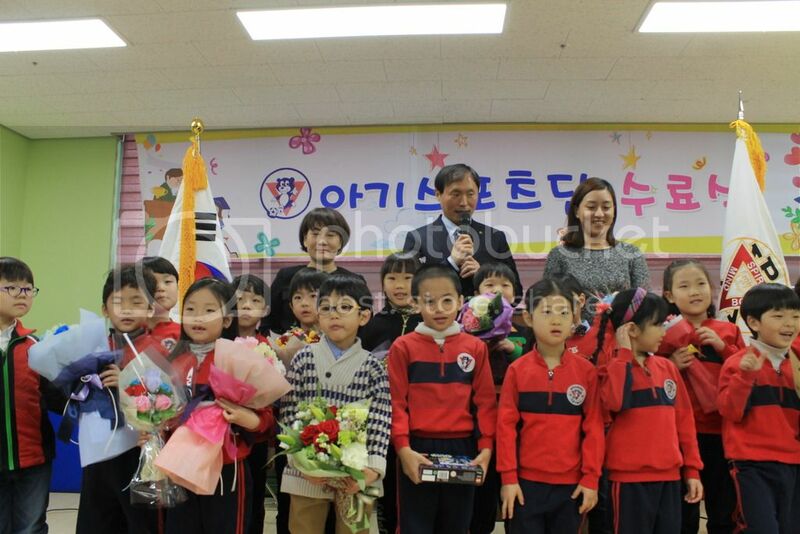 And he has technically graduated from kindergarten (Korean academic year). To put him back in kindie at Dwight would be impractical:-)… International school tuition is no joke. Yap, you’re right. I will have a good time with him. I did the same to his older brother and I had been looking forward to do the same with him. I will never have this long alone-time with him again. Thanks!